Welcome to Linden Lighting Services. We are a fully licensed and insured electrical contractor capable of taking care of all of your electrical needs. 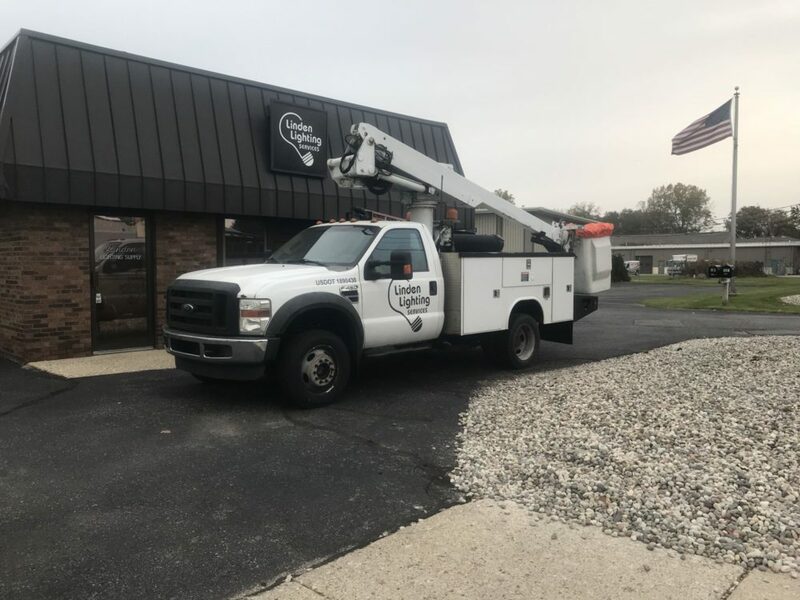 Some of our services include sign repair, parking lot lighting repair, adding a new outlet in your office to upgrading the service on your business or home. We are also a wholesale distributor of all of your lighting needs. Whether you operate a small business, manage an office building or run a warehouse we have what you need to keep your facility lighted. We sell fluorescent lamps, incandescent lamps, H.I.D. lamps, L.E.D. lighting, fixtures, ballasts, emergency lighting and anything else you may need. We also offer free delivery in the Grand Rapids area. The new year is already upon us so why not start the new year off right with saving money. Upgrading your parking lot lighting and inside lighting to L.E.D. lighting will not only save you money on your electric bill, it will save you money on future maintenance costs. L.E.D. lighting lasts longer than conventional lighting so maintenance costs are greatly reduced. With the new year utility rebates are starting up again so you can get paid to change your lighting. Give us a call today and one of our lighting specialists can help you select the correct lighting for your job and apply for any energy rebates that your job qualifies for. At Linden Lighting Services we can take care of more than just your lighting needs. We are a fully licensed and insured electrical contractor servicing residential, commercial and industrial accounts. If you need a new outlet installed in an office, power run to a new piece of equipment in your shop, the electrical service upgraded on your home, or some electrical work done in the apartment complex you manage give us a call today. Let us be your one call for all of your electrical needs. Call or email us today for pricing on your electrical project.